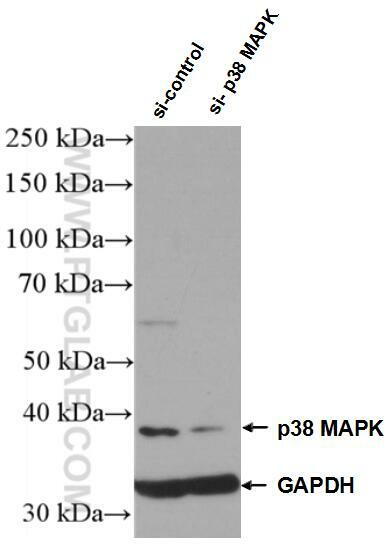 MAPK14(mitogen-activated protein kinase 14) is also named as SAPK2A, p38MAPK, CSBP1, RK, p38, EXIP, Mxi2, CSBP2, PRKM14, PRKM15, CSPB1, p38ALPHA and belongs to the MAP kinase subfamily. MAPK14-signaling is a central pathway for the integration of instructive signals in dendritic cells for T(H)17 differentiation and inflammation(PMID:22231518). It plays an important role in the regulation of hematopoietic stem cellself-renewal in vitro and inhibition of MAPK14 activation with a small molecule inhibitor may represent a novel approach to promote ex vivo expansion of hematopoietic stem cell(PMID:21198398). 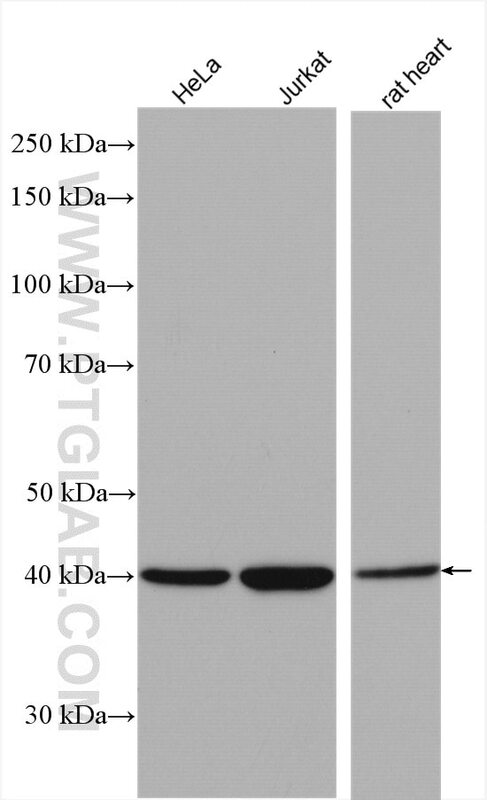 This protein has some isoforms with MW 29-31 kDa, 35 kDa and 41 kDa. Prostaglandin F2α Facilitates Hepatic Glucose Production Through CaMKIIγ/p38/FoxO1-Signaling Pathway in Fasting and Obesity. Cold atmospheric plasma conveys selectivity on triple negative breast cancer cells both in vitro and in vivo. Asperuloside and Asperulosidic Acid Exert an Anti-Inflammatory Effect via Suppression of the NF-κB and MAPK Signaling Pathways in LPS-Induced RAW 264.7 Macrophages. Correlation of TGN-020 with the analgesic effects via ERK pathway activation after chronic constriction injury.